A short two hours drive from Nairobi, Kenya’s Capital City lies Naivasha town, a town that has been bestowed upon all Nature’s beauty, where waters are still, birds sing a bit louder, trees sway a little more, grass is greener, wildlife more diverse and where people seem just a little bit nicer. I love being in nature, the thrill of such an adventure and the consequent tranquility that comes with being surrounded by God’s creation excites me. Nature has a way of stilling your mind, silencing your thoughts and making you more aware of the beauty around you that you had been taking for granted. 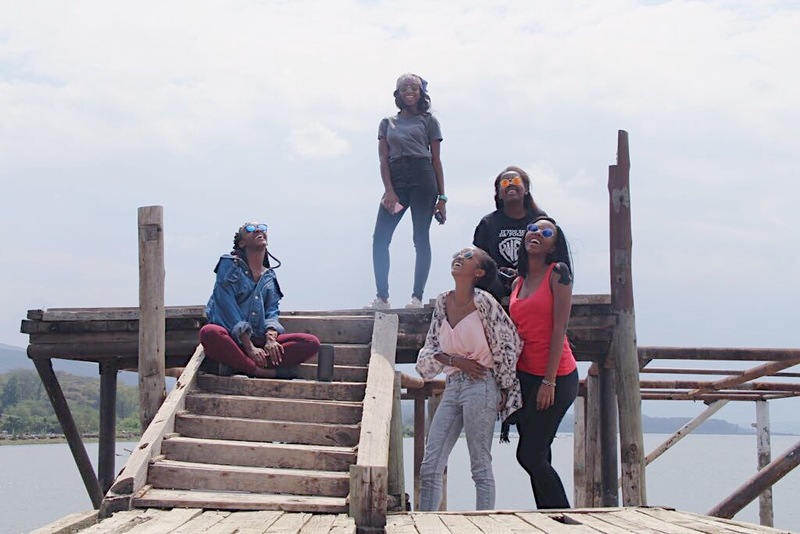 So you can imagine my excitement when my friends and I took this trip to spend a whole day in Naivasha. There’s a lot to do and see in Naivasha, that you’d probably need more than a week to do it all. If you’ve ever been to Naivasha, you’ve probably heard of Cray Fish Camp, or you’ve been there yourself. If you haven’t, what are you waiting for? 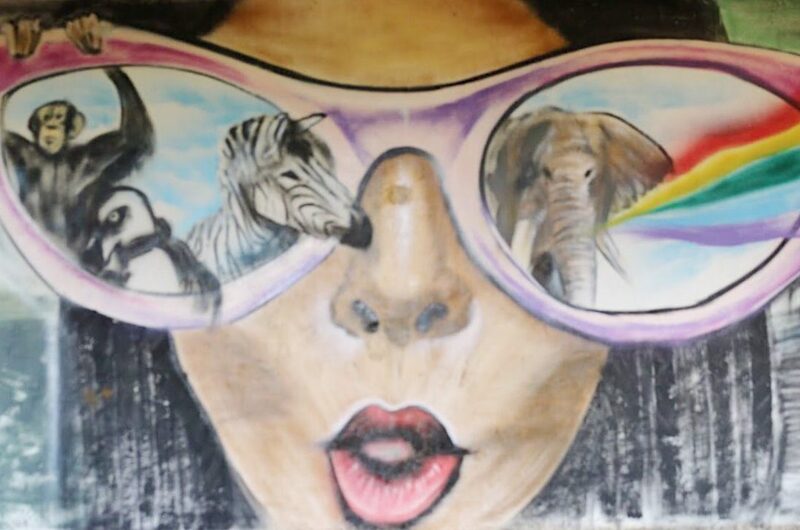 Aside from the affordable camping and cabin facilities for those who want to spend the night, there’s really good food, a swimming pool area and you could go for a boat ride on Lake Naivasha. The boat ride was the plan for the day, followed by lunch at a ranch that I fell in love with, called Ranch House Bistro. Hi. My name is Jimmy. I like long walks on the beach, lying on the grass and looking cute enough for tourists to come play with me. Before you go to the boats, make sure to visit the swings. You’ll probably end up being told that you’re too big to be on the swings (unless you look 14 years like me). But hey, it’s worth a try. Make sure to carry a camera for the memories, a speaker for music, shades (cause you don’t want to be shady), and your coolest personality. The length of the boat ride depends on how much you pay, or if you get a cool guy to take you round, you can sweet talk him to add some time. Take some time to watch mother nature around you, see the value of family from wildlife itself, how the hippos and birds protects their children, feel the wind in your hair, let your fingers touch the cool water, let the peace of nature still your heart and mind, listen to stories from your guide, and allow yourself to just sink it all in. Yo Pierre, you wanna come out here? Lol. Before ﻿we left for lunch, we spotted this pier that we had to check out. A 20 minutes drive from Cray Fish took us to our lunch joint, a cute ranch that’s at the shore of the other side of Lake Naivasha. Coming to think of it, maybe we could have just gotten there by boat, if we had money and time. This place is everything you need for a relaxed afternoon with friends and family. The green grass, tall trees, the décor, and the fact that you can see the Lake from where you sit, makes it more inviting. The menu wasn’t the most exciting and the food itself took a bit long. Well maybe it felt like a long time because we were starving? I don’t know. What do you call a royal giraffe? Your HIGH-ness. Lol. Have you ever been to Cray Fish or La Pieve (Ranch House Bistro)? If yes, what was your experience like? Have you visited any other cool places in Naivasha? Share in the comments below. We’d love to hear from you. So that’s it for today. Remember to like, comment and share. If you haven’t followed my blog, what are you waiting for? You do not want to miss the good things coming your way. So that’s it for today. Till next time. Chao. What a beautiful to capture this wanderlust!! Next time visit fisherman’s camp.They got good food.Its a 20mins drive from crayfish camp.Otherwise i enjoyed your read😊. Ahhh. Okay . Will do that next time. Include me in the next one mahnn! That is around Naivasha!I would greatly appreciate.